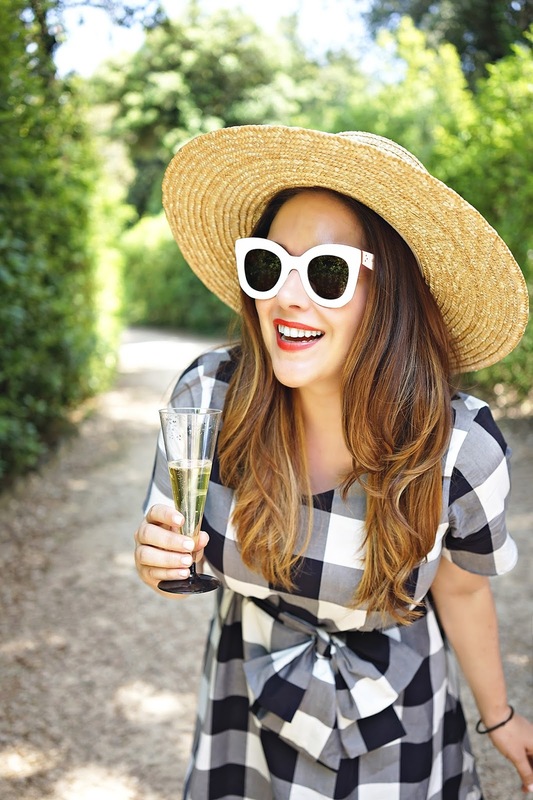 You are probably thinking that this dress looks vaguely familiar. And you are not wrong! It is actually this uber popular dress from Ann Taylor, with a lot of adjustments lol (thank you Kelly!). While I loved the original dress design, it was just so wrong for me. Rather than sacrifice the chance to have this perfect over-size gingham pattern, I decided to shorten it and add sleeves. The dress was so long on me that there was enough fabric for two sleeves! 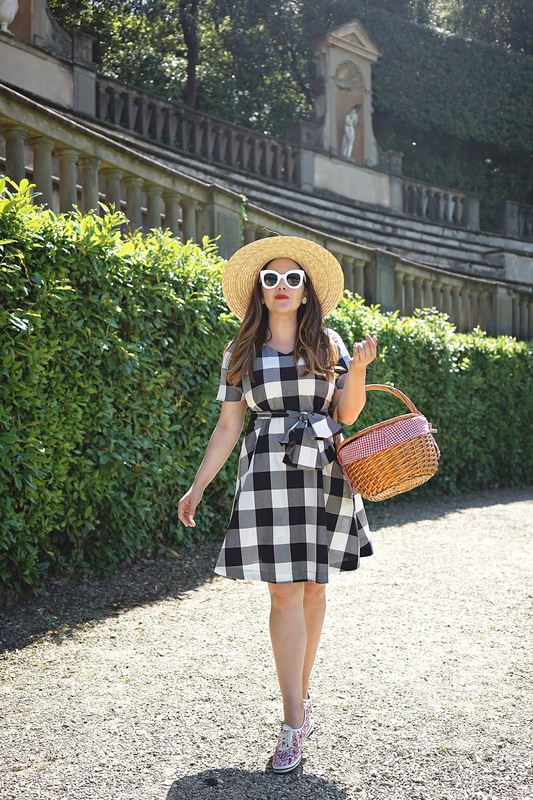 I love the way it turned out and it was the perfect dress to wear for a picnic in the Boboli Gardens with Anna. 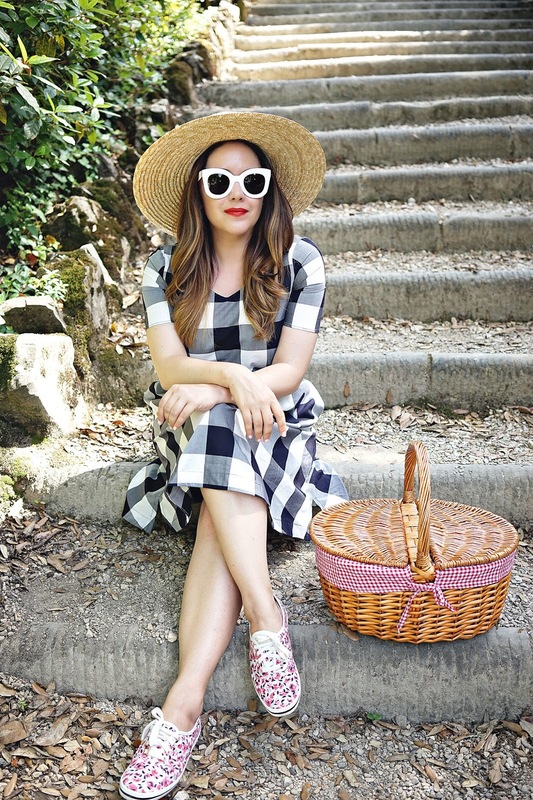 "Fare un picnic" literally means to make a picnic, and that is exactly what we did! I must say that Anna and I are pretty good at picnicking. 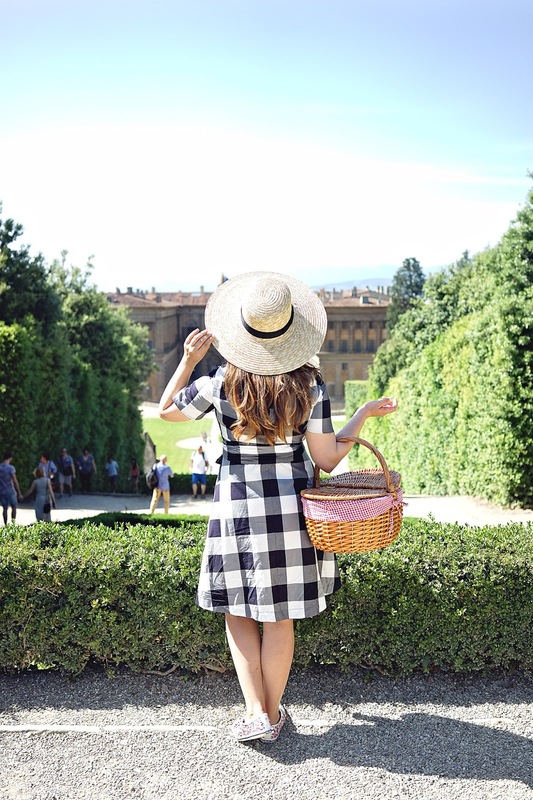 We have mastered the art of sneaking prosecco, a baguette, fresh cheese, speck, and fresh fruit into the Boboli Gardens. 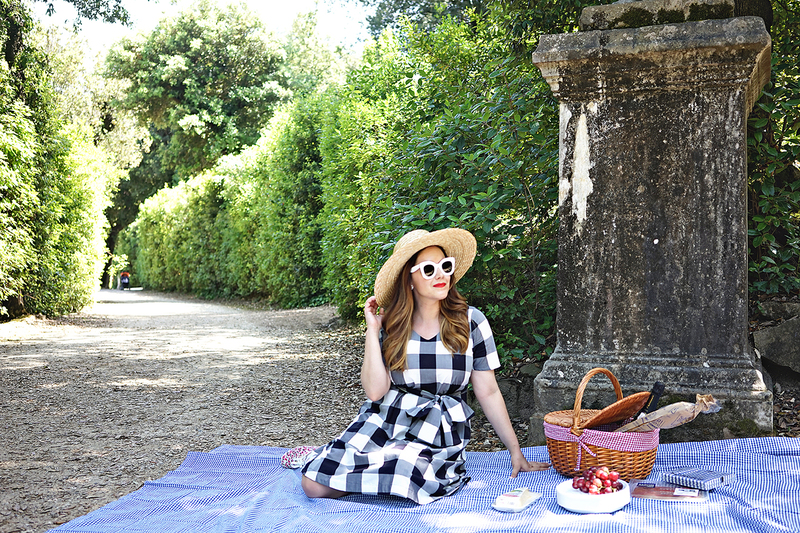 Not that picnicking is illegal in the Boboli, you are allowed to eat there, but the guards get a little nervous when they see tons of food (which equals a possible mess they have to clean up later) going into the gardens. As long as you limit what you bring, clean up after yourself, and are discrete, they will let you enjoy a relaxing meal in the back area of the gardens. We wanted to get a good picnic in before the weather got too hot. Saturday was our first really warm day in Florence, but it was still cool enough for lounging, sipping, and snacking on a blanket under a shady tree. 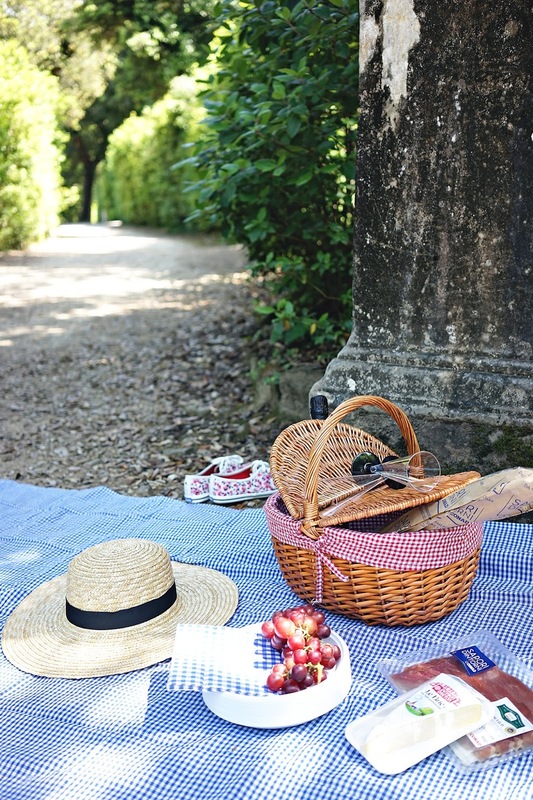 While picnicking in Florida is nice, there is just something really special about picnicking in a historic garden like the Boboli. It's full of so much beauty and the people watching is fantastic. 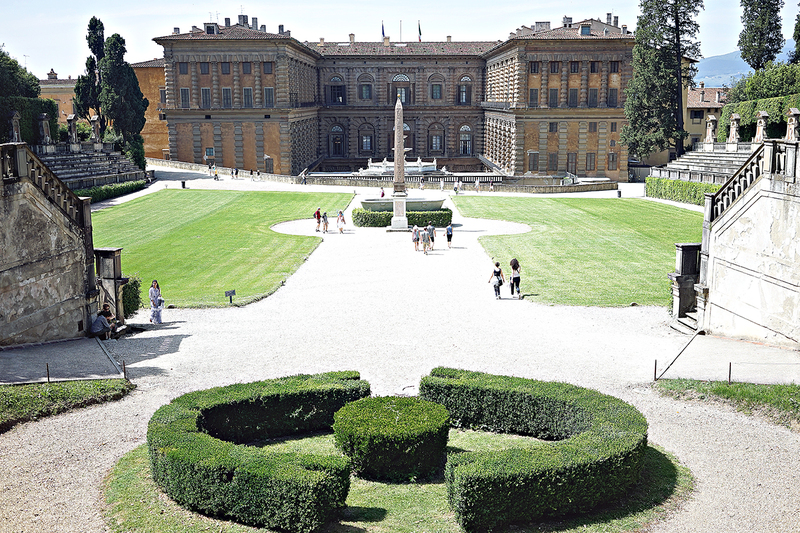 I highly recommend enjoying some fresh air and sunshine in the Boboli Gardens (and Bardini Gardens) if you visit Florence.